We are always ready to provide fast same-day emergency services for any garage door related problem. Call us for fast response and the best rates around. 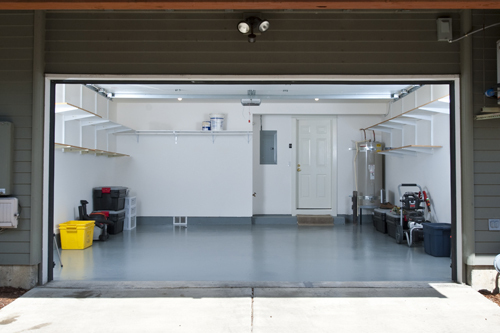 Our experts are here for you every time you are in need of immediate garage door repairs! What could be worse for you than dealing with an overhead door hanging open dangerously? What could be more upsetting this morning than realizing that the springs are broken and door can't open? We at “Garage Door Repair San Diego” will take care of all of them in no time! Between a customer with a jammed door and another with misaligned sensors, we choose to help both as soon as possible! As a local company we have the advantage of always being nearby, and always ready and fully stocked to offer fast garage door emergency services to help everyone around. Urgent problems have repercussions on your convenience and might also endanger the safety and the security of your home and loved ones. Did the problem originate from the opener? Is one of the cables snapped? Has the door come off tracks? If these problems are not fixed at once, you should not use your door until the issue is taken care of professionally and safely. That's exactly what we are here for! Our professionals will be there for you as fast as possible and replace the snapped cables or broken springs, fix the opener, and test the door to make sure it is now perfectly functioning and safe to use. Whether your current problems are related to the opener, mechanical parts or the panels, our team will always know what to do! From aligning the photo sensors and fixing any problem with the reverse mechanism to adjusting the door or the opener settings, rest assured the door will be up and running in no time! If you face any kind of issue with your door, let us know. We are at your service! Give us a call, or send us a message online to receive the best services for the best prices around!